Now this is interesting! It’s not often that there comes along much to shake up the musical genres that we talk about day in day out, not that we always want there to be, but when bonafide original concepts come along, they deserve the plaudits for the work they’ve done, if it’s good of course. May we present to you the sound of Brownsville, Texas’, In Your Long Arms, and their new record RUINR, seven songs of spellbinding shoe-gazing sludge! The aggression of sludge, and the dreary atmospherics of shoe-gaze are possibly at the furthest ends of the musical scale, but somehow these Texans have made it work. They’ve slowed down the sludge so that the rawness becomes a droning overture to Xavier’s primal vocals as the songs fight their way through thick swathes of riff filled gloomy emotions, channelling a new style of death music, a sense of impending doom that is all encompassing. 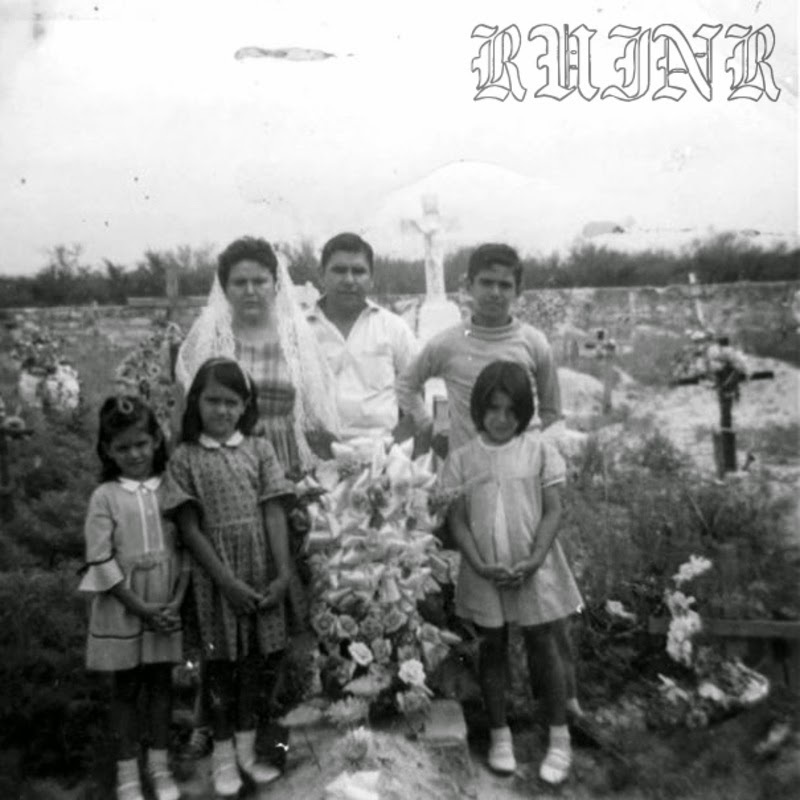 RUINR is record which needs to be experienced in full, an album’s album, where no individual songs outweigh the others. The tracks work like a blanket, smothering its victim until you pull your way to the other side. It’s not music for the faint-hearted, but it’s a worthwhile ride for those brave enough to let the gloom take them on. In Your Long Arms have created something special here. Great album! These guys have had bands in other genre's and no matter what they do, they always put out great music. Extremely talented. Reminds me alot of True Widow........... which is a good thing! Pulls the heart strings, gets the drinks flowing. I need another beer!